Hi guys! It’s podcast time! This one is a classic for people who have downloaded the audio series but you might be hearing it for the first time too. One of the most fascinating parts of ‘Stranger Things’ to me was watching it’s meteoric rise. 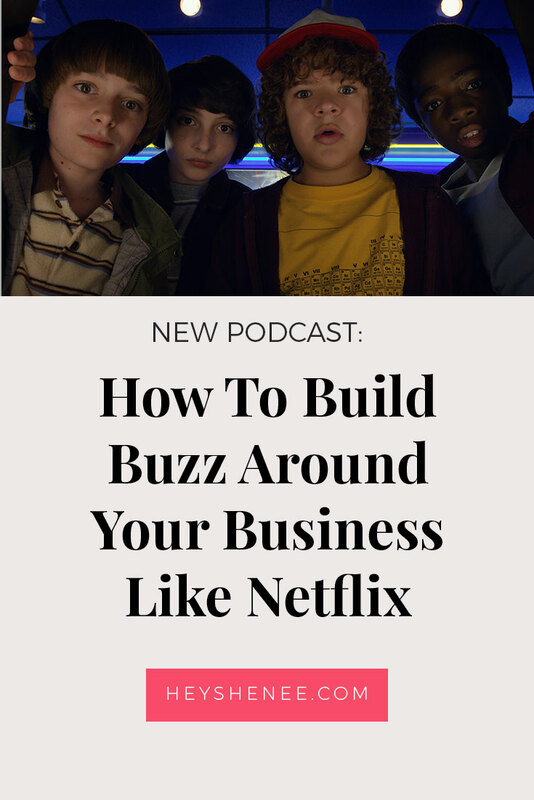 Netflix has very limited advertising and relies on word of mouth. They knew they had a good product, so they just put it out there and waited for it to grow. How can we use this example of what to do in our business? A lot of it is about being really good at what you do and really clear in your messaging and waiting for the word to get out about you. If you don’t want to spend a lot of money and advertising time, you can just make sure you are very clear in your messaging and are doing great work for the clients you have. When you have happy clients who find your product easy to talk about and explain, you can ask them to spread the word.